The Reagan-Fascell Democracy Fellows Program is an international exchange program that offers practitioners, scholars, and journalists from around the world the opportunity to spend five months at the National Endowment for Democracy (NED), in Washington DC, in order to un-dertake independent research on democracy in a particular country or region. While in residence, fellows reflect on their experiences; conduct research and writing; consider best practices and les-sons learned; and develop professional relationships within a global network of democracy advo-cates. 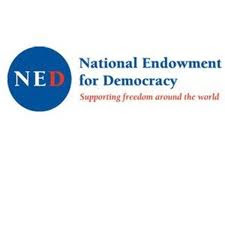 Support: Located within NED’s International Forum for Democratic Studies, the program provides a rich intellectual setting for educational exchange and professional development. The Forum also publishes the Journal of Democracy, holds conferences, and provides access to NED’s Democracy Resource Center and Library. The program offers research support and facilitates fellows’ outreach to Washington’s advocacy, media, academic, and policy communities. All fellowships include a monthly payment, health insurance, and roundtrip travel reimbursement. The program does not pro-vide financial assistance for accompanying family or other dependents. Participation: The program runs two five-month fellowship sessions per year, during which fellows are expected to work full time on their projects. Practitioners focus on strategies and best practices for strengthening democracy in their country of interest; scholars conduct original research for publication. Projects may address the economic, political, social, legal, or cultural aspects of democratic develop-ment and include a range of methodologies and approaches. The program hosts an active calendar of events, including an introduction to NED and its partner institutions, seminars, roundtables, and other activities. Fellows are expected to present their work and prepare a written product during their stay. Eligibility: While the program is intended primarily for individuals from developing and aspir-ing democracies, distinguished scholars from the United States and other established democra-cies are eligible to apply. Practitioners and journalists are expected to have substantial work ex-perience in their fields, while scholars are expected to have a Ph.D., or academic equivalent, at the time of application. The program does not support professional training, fieldwork, or stu-dents working toward a degree, nor does it provide funding to implement projects in the field. A working knowledge of English is required. Dates: Fall Session: October 2012–February 2013; Spring Session: March–July 2013. Application: To apply, visit http://fellowships.ned.org. The application deadline is Tuesday, November 1, 2011. Applicants will be notified of the outcome in mid-April 2012. Demikianlah informasi Reagan-Fascell Democracy Fellowship, National Endowment for Democracy (NED), USA kami sampaikan, semoga bermanfaat.